SAP Business One (B1) is a fully featured ERP system developed specifically for SMEs. Don’t be fooled into thinking that the SAP credentials come with a high price tag; B1 is an extremely cost-effective ERP solution aimed at businesses with less than £50 million turnover and up to 100 employees. A class leader in retail, wholesale, distribution, manufacturing and professional services. 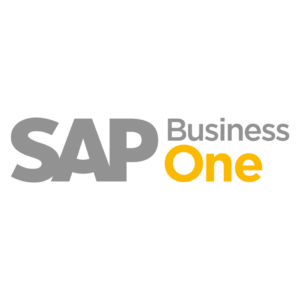 SAP Business One is ICAEW accredited (The Institute of Chartered Accounts in England and Wales), has more than 69,000 customers and more than 1,000,000 users. Nearly £3 Billion was invested in R&D developing SAP products in 2017 and there is a roadmap for continual development of B1 heading out to 2036. KFA Connect are partnered with ASIS Solutions, providers of SAP B1 solutions for the past 13 years. A strategic partnership formed with the aim of providing an unrivalled customer experience for the implementation, integration and support of SAP B1. KFA and ASIS, work differently from most SAP B1 providers. We work with you to implement the right solution with an ‘arms around the shoulder’ approach to ensure your new system works perfectly. Get in touch with KFA to discuss your requirements and you will be pleasantly surprised how quickly you could be growing your business with SAP B1.